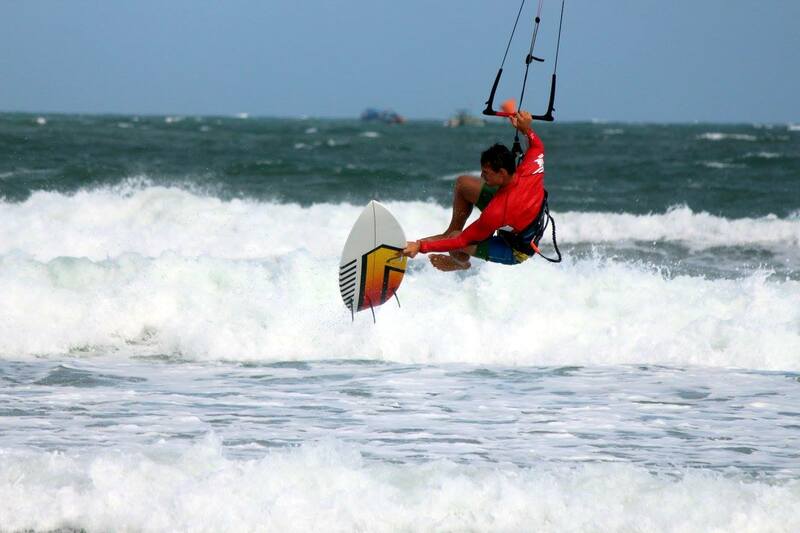 Whether You want to learn windsurf or kitesurf is a personal choice and depends on individual taste. 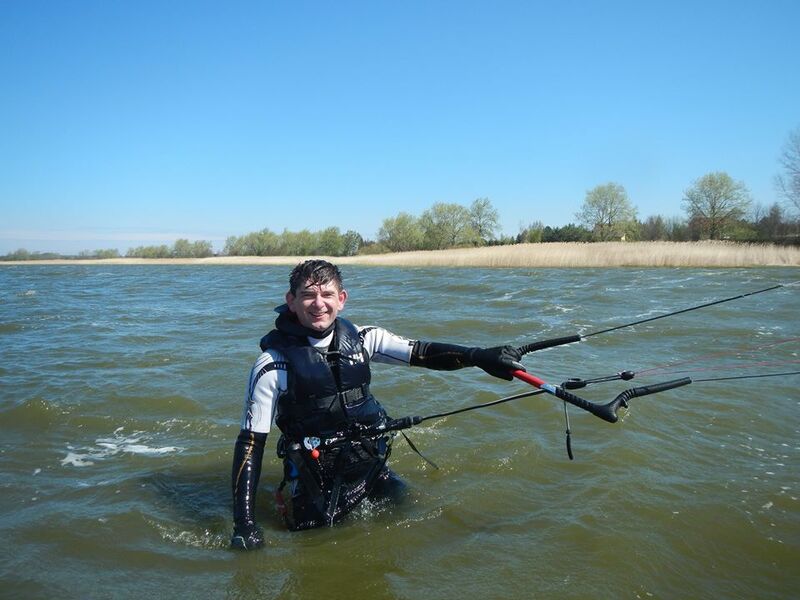 Both are challenging water sports, but guarantee great fun once the student has overcome the initial difficulties. 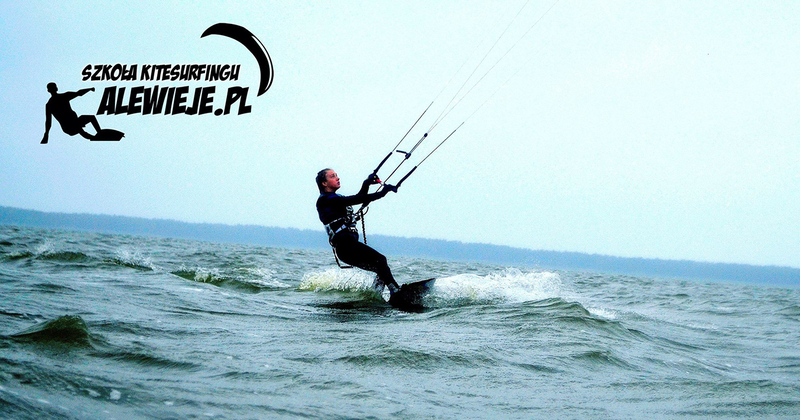 If You need any transfer to kitesurfing spot or to Our Windsurfing school next to Wakepark Koszalin just call Us or send an email. We offer special courses for children. 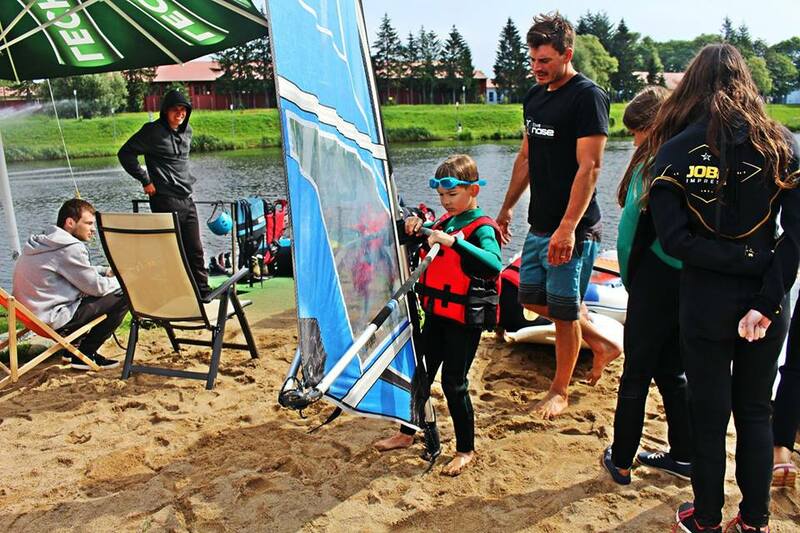 Special small kites and very light sails, suitable boards and wetsuits make it possible to learn kitesurfing or windsurfing and have a lot of fun even for the youngest. Our special program prepared for children ensures lots of joy and absolute safety. 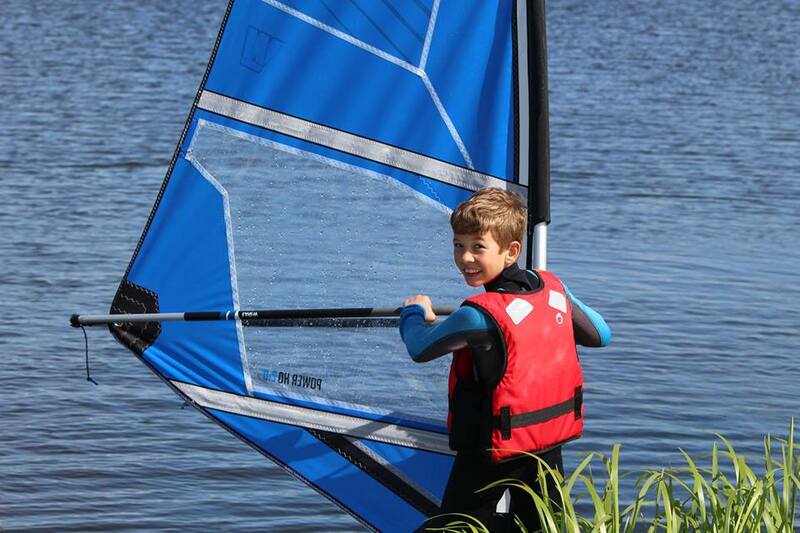 The course finishes with awarding a ‘Young Windsurfer’ diploma. Our instructors have a pedagogic background and great experience in working with children. These are the essentials that guarantee pleasant, effective and safe learning. 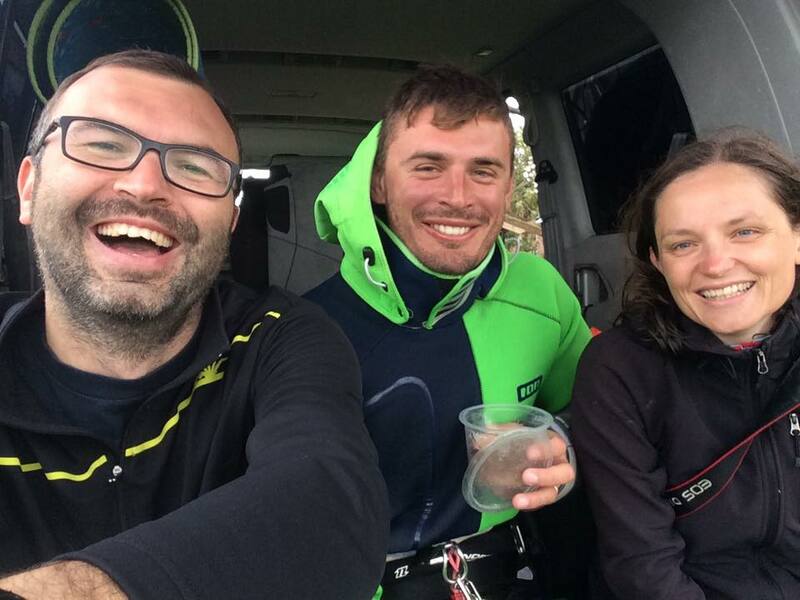 5 hours course allows you to feel what kitesurfing is about and what emotions it brings! During the first hour of course, one of our experienced instructors will tell you some very important safety rules. He will also show you what is needed to kitesurf and how the newest equipment work. 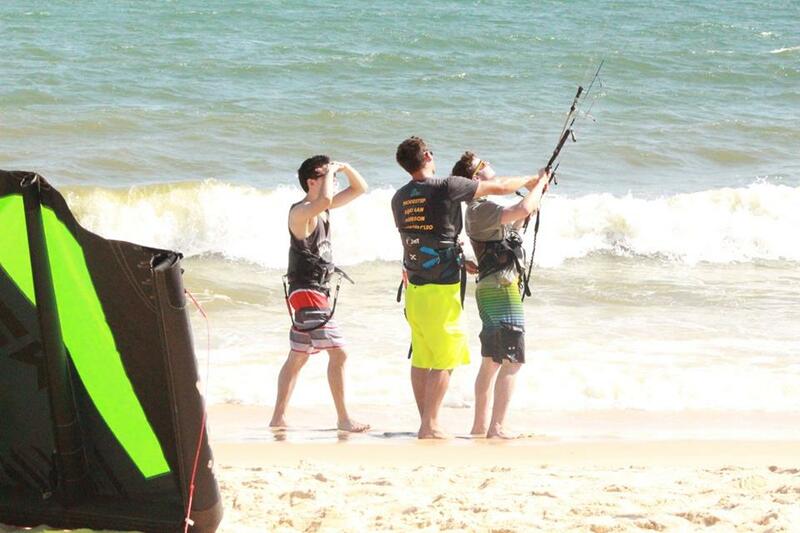 We will teach you how to steer a kite, how to launch and land it. After getting to know the basics, further part of the course we will spend on water. You will be able to use the power of a kite to do body dragging (being pulled through the water on stomach) in any direction. 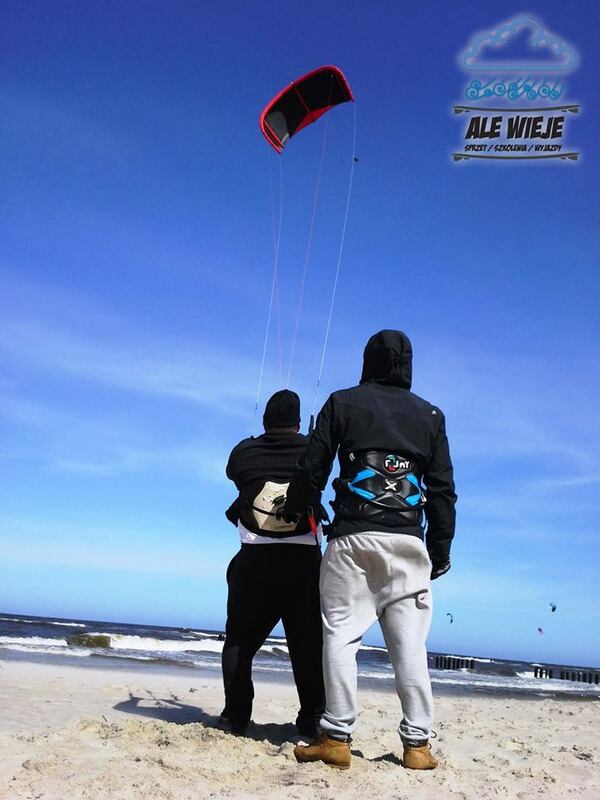 After these exercises you will get a kitesurfing board and we will try to start! In our school group courses are very effective! Invite your friend or join another student at our school! During joint lessons you will have an opportunity to observe and mobilize each other, what ensures a quick progress. After 5th hour of course each of you will practice on own equipment. Thanks to a constant contact via walkie-talkie you will feel confident and secure. 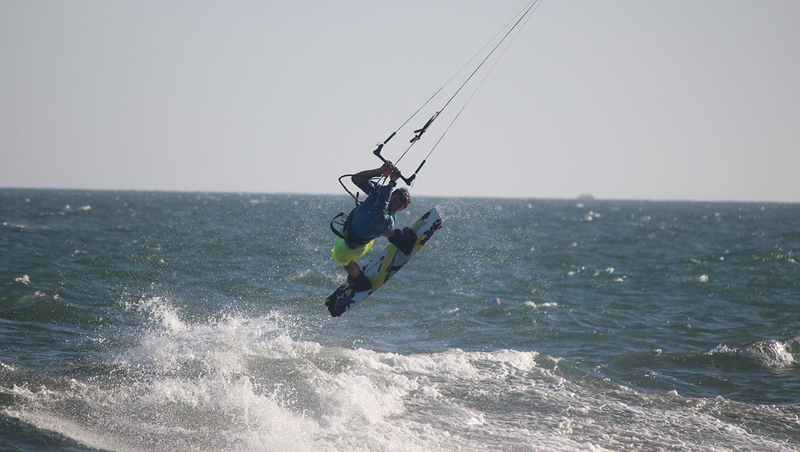 During this course you will experience your first ride and feel the great joy of kitesurfing! 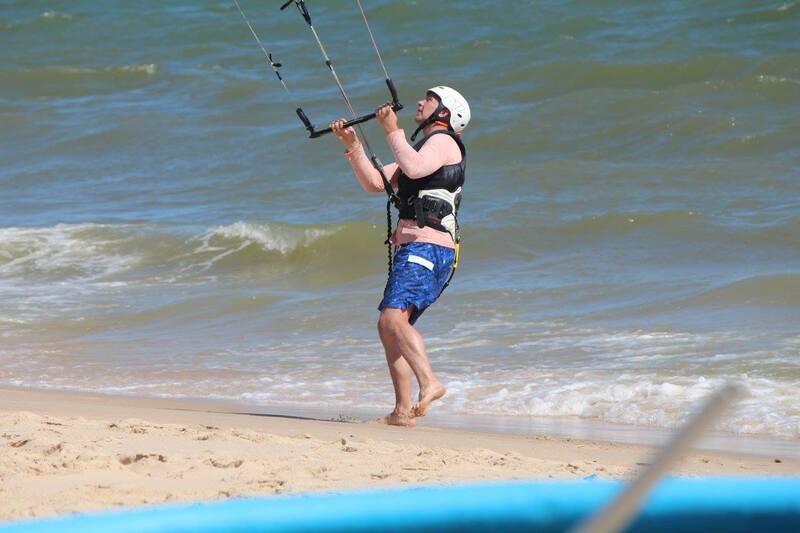 We will improve your skills of coordinating a kite and a proper position on a board. 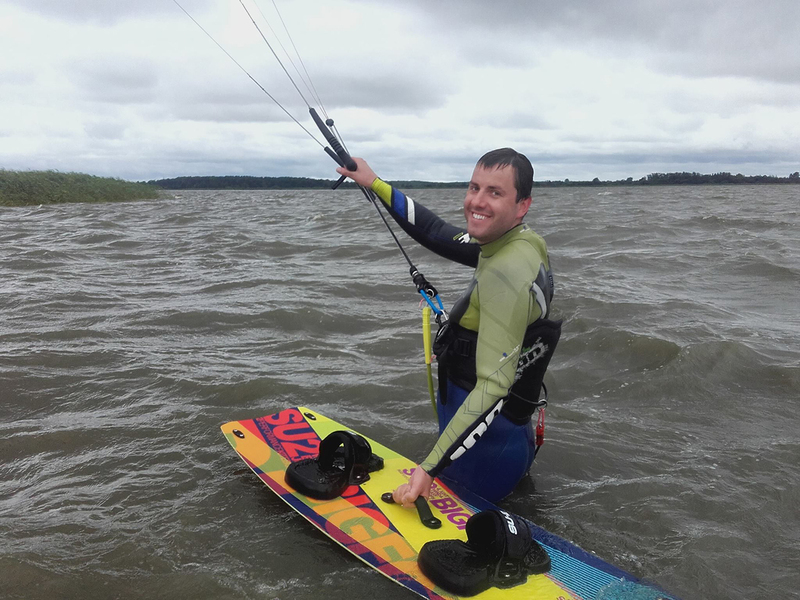 The great tool to practice getting on a board is a wakeboard cable, which you may use at this stage of the course. During lessons we also focus on a water start from a deeper water and on lerning how to turn. Thank to a constant contact with your instructor via walkie-talkie you will hear every information, even if in euphoria you ride further away! Since we’ve started to use this device our students learn much faster. 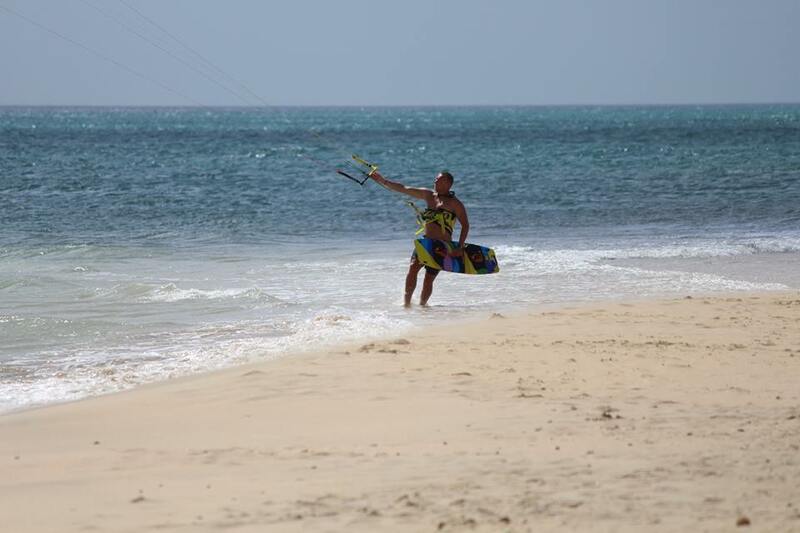 You will be an independent kitesurfer with an ability to ride both directions, make turns, keep the course and to edge. 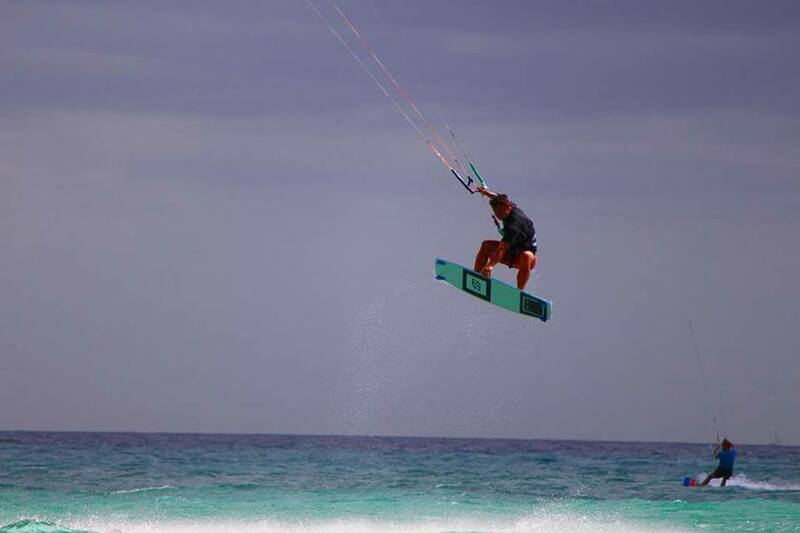 We will also show you how to perform simple, controled jumps – the essence of kitesurfing – the reason why so many people are fascinated with this amazing sport. It is the most popular course among our students. If you don’t manage to accomplish your course during your hollidays don’t worry, you will get a voucher which you can use even next year! In our school group courses are very effective! Invite your friend or join another student at our school! During joint lessons you will have an opportunity to observe and mobilize each other, what ensures a quick progress. After 5th hour of course each of you will practise on own equipment. Thanks to a constant contat via walkie-talkie you will feel confident and secure. Price include: instructor, equipment, vest, helmet, walkie-talkie, wetsuit. You’ve already finished course some time ago, you’ve learnt to ride but feel like you need some recollection or a few tips to feel secure on a water? The 2 hours refreshing course is a good choice for you. During lessons we will resolve all your doubts. 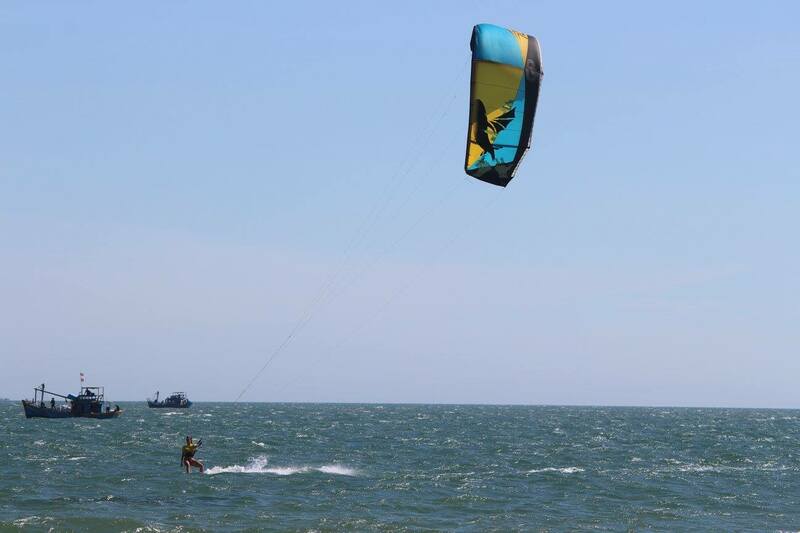 Are you interested in any of our kitesurfing courses? Would you like to book a course? Do you have any questions? For more information, we will be glad to answer any question you may have. In our offer you will find 2, 5 and 10 hour individual courses. We adjust dates and length of lessons to your preferences After an 5-hour course you will already know the basics of windsurfing. 10 hours is enough for you to become a confident and independent windsurfer. 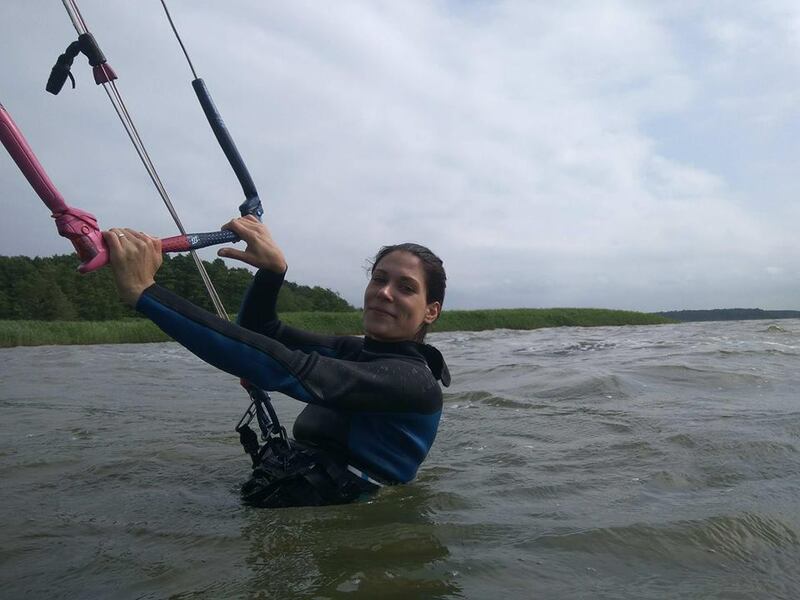 If you already have some experience with windsurfing, our instructor will adjust the level of course to your skills, so you can be sure that you will spend this time effectively. If the wind conditions are unfavorable or you need to cancel your lesson because of your own reasons, we postpone it for another day. If you do not finish the course, you get a voucher for all lessons left. The voucher is valid even next year! What you will learn on the course? 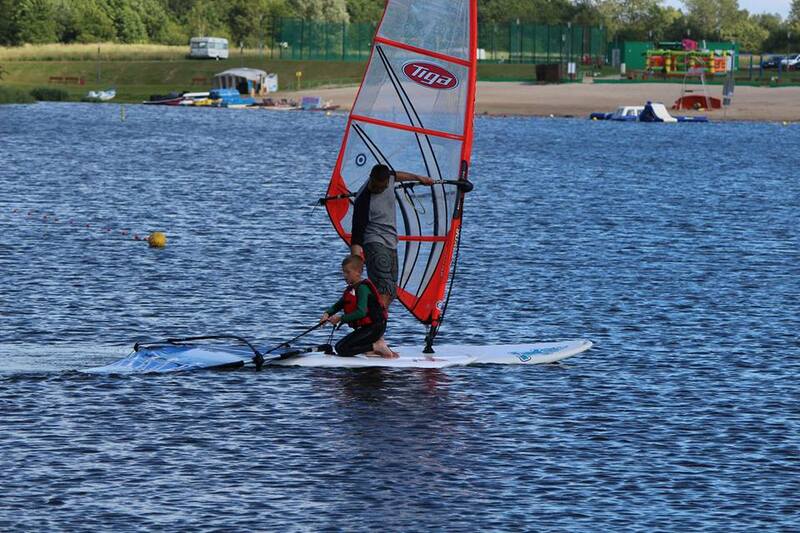 Are you interested in any of our windsurfing courses? Want know more? Press "7 day forecast | Superforecast | Forecast map ".